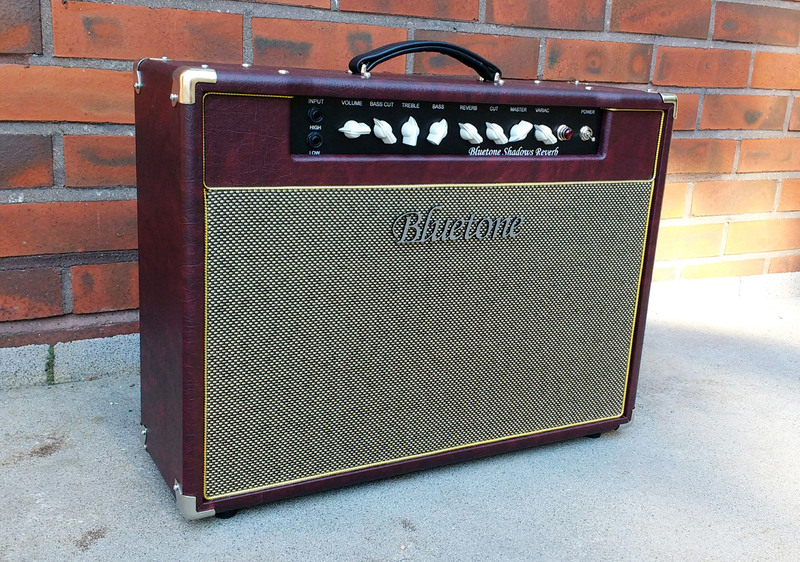 This tube amp is based on Vox AC30 provided with our own Bluetone mods. It has 4xEL84 power tubes providing some 15-30 W output power depending dynamic output power control (Variac) switch position. 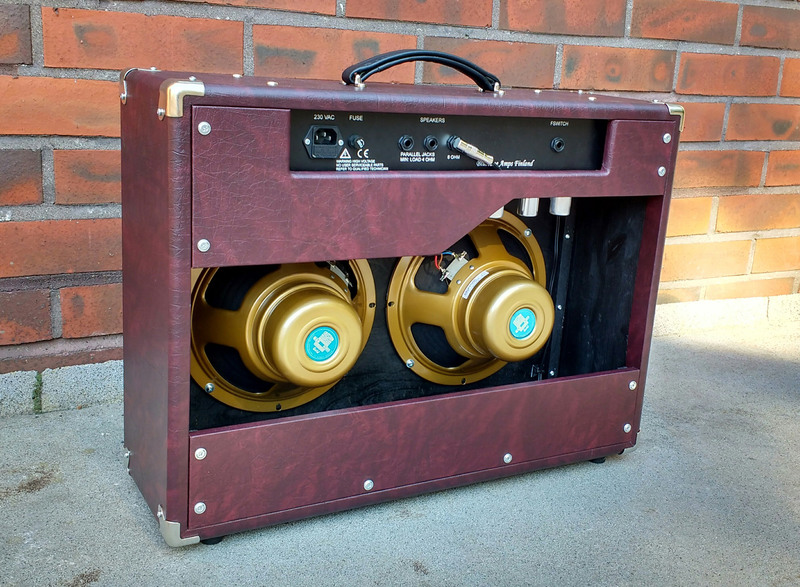 The amp in pictures has 2×10″ Celestion Gold Alnico speakers, a spring reverb and Variac. 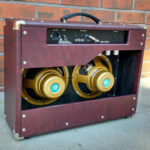 When planning this amp, one goal was to make an amp which is smaller and lighter than original but maintaining it`s legendary big sound. 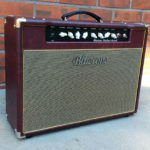 Amp cab dimensions are W=63 cm H=48 cm D=22 cm and weight only 17,5 kg. With PPIMV Master Volume and Variac you can easily get power amp distortion even with bed room levels. If you want tweed covering or hardwood cabinet, please ask an offer.